Take bowl, add yogurt, salt, powdered sugar and whisk well. 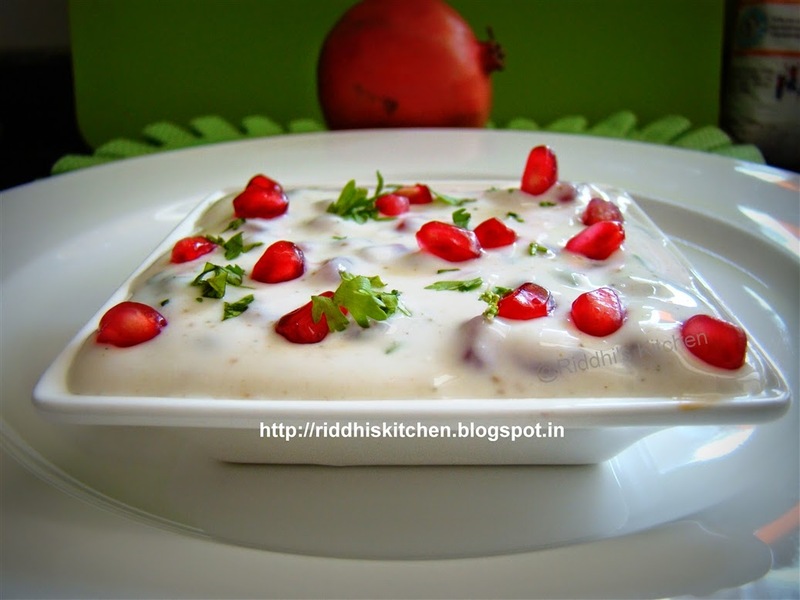 Add pomegranate pearls, chaat masala, pepper powder, roasted cumin powder, fresh coriander and mix well. Put into refrigerator.